The Supreme Judicial Court recently issued two decisions – Commonwealth v. Teixeira and Commonwealth v. Meade – that will have a significant impact on the discovery process in certain criminal cases going forward. There are two types of cases in Massachusetts – misdemeanors and felonies. Massachusetts District Courts and the Boston Municipal Court have jurisdiction over all misdemeanors and less serious felonies (i.e., all felonies which carry a house of correction sentencing alternative). The Superior Court has jurisdiction over all other felonies (i.e., felonies which carry only state prison as potential sentence). Despite the fact that the District Court lacks jurisdiction over certain felonies, all cases, no matter how serious, start out in the District Court with an arraignment. 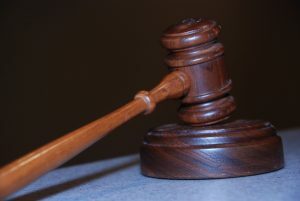 If the charge is one of the felonies that only the Superior Court has jurisdiction over, the Commonwealth must decide whether it wants to take the case to the Superior Court, or if it wants to break the case down to a misdemeanor or less serious felony over which the District Court has jurisdiction. If the Commonwealth decides that it wants the case to be heard in the Superior Court, it must present the case to the grand jury to make a determination that there is in fact probable cause to issue a charge in Superior Court (called an indictment). Under Rule 3 of the Massachusetts Rules of Criminal Procedure, a defendant is entitled to a probable cause hearing in the District Court until the case has been presented to the grand jury, and the grand jury has voted and found probable cause to issue the indictment. It can take several months for the Commonwealth to indict a case, during which the case remains in District Court. Although the case is scheduled for a probable cause hearing in District Court pending the indictment, probable cause hearings are extremely rare in practice – typically, the Commonwealth states its intent to indict and asks the District Court judge to continue the case for a further probable cause hearing. The case generally gets continued until the case is indicted, at which point the need for a probable cause hearing is obviated. Naturally, defense attorneys object to these continuances. While the ability to proceed with the case and obtain discovery is hampered by the Commonwealth’s repeated requests for continuances, good defense attorneys file motions for such discovery while the case is pending in the District Court and awaiting indictment. This is so that they can begin to investigate a case and start to build a defense. The Commonwealth typically objects to such orders to produce discovery on the ground that the District Court does not have jurisdiction over the case, and therefore the District Court judge lacks jurisdiction to issue such an order. In the Teixiera and Meade cases, the SJC specifically ruled that District Court and Boston Municipal Court judges have the inherent authority to order discovery in anticipation of probable cause hearings. The cases stem from two unrelated, nonfatal shootings. Teixeira was arrested for one of the shootings and Meade for the other. Both defendants “were charged by complaint in the [BMC] with a number of felonies…. [At their arraignments,] [p]ursuant to G.L. c.276, §38, probable cause hearings were scheduled for [both] defendant[s,] [in order] to determine whether there was sufficient evidence to bind them over to the Superior Court for trial. The Commonwealth was ordered to provide the defendants with discovery in advance of those hearings. Noting that judges of the BMC and the District Court Department are not explicitly authorized, either by statute or by the Massachusetts Rules of Criminal Procedure, to order discovery in preparation for probable cause hearings …, the Commonwealth objected to the discovery orders and filed interlocutory appeals.” In due course, before these appeals were resolved by the SJC, grand juries returned indictments in both cases, the defendants were arraigned in Suffolk Superior Court, and they were provided with the discovery they had been seeking in the BMC. If you or a loved one is charged with a crime over which the Superior Court has sole jurisdiction, you will need a skilled and experienced attorney to make sure that you get the discovery in your case as soon as possible so that your case is thoroughly and promptly investigated, and so that you can begin to build the best defense possible. Attorney Daniel Cappetta is well versed in the law and fights hard for his clients at every stage of the case. Call him today for a free consultation.